There’s no better way to end a meal with a decadent ice cream treat. 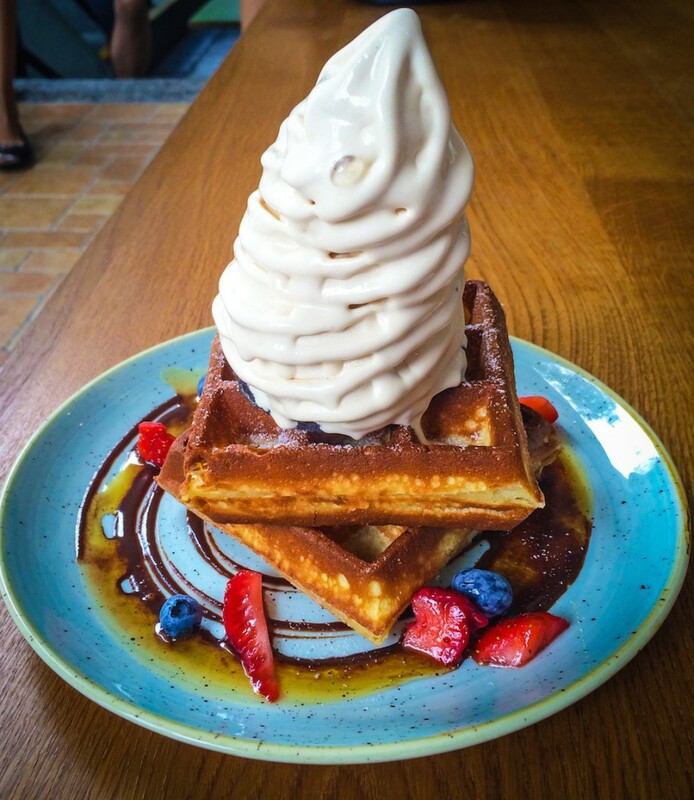 In honour of that, here is our list of best soft serve ice cream in Singapore. 44 Jalan Merah Saga, #01-52, Chip Bee Gardens, Closed on Mondays, Opening Hours: 4pm – 10pm from Tuesday to Friday, 12pm -10pm on Saturdays & Sundays. Closed on Monday. You’ve probably already seen multiple Instagram photos of Sunday Folks’ signature soft serve, and for good reason too – the soft serve here is not only photogenic, but pretty tasty too. Opened by the folks behind popular ice creamery Creamier, Sunday Folks has been drawing huge crowds – almost to the point where you’re kind of reluctant to queue for that one ice cream cone. Almost. If you’re patient (or you really need your ice cream fix), be prepared to wait about 30-40 minutes during peak hours. The Earl Grey Lavender soft serve ice cream ($10.90) was a well-handled balance of flavour and texture, but the earl grey flavour could have been more distinct. The Pistachio Soft Serve ($10.90), however, really hit the spot for me that afternoon. Maybe it was the sprinkling of nuts that gave it the extra crunch? I’ve tried many soft serves in Singapore, but nothing beats this one – the Matcha Soft Serve ($4.50) at Tsujiri is the perfect combination of taste and texture. 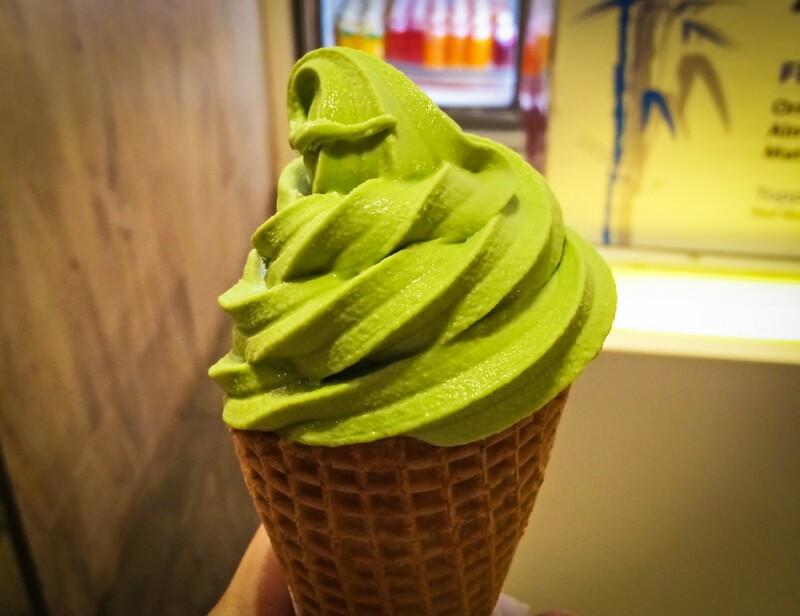 The soft serve ice cream is rich and silky-smooth, and the strong green tea flavour leaves an aromatic aftertaste in my mouth. Definitely returning to try their popular parfaits. Godiva has always been known for its quality (albeit pricey) chocolates, so it’s no surprise that the chocolate ice cream there is good too. 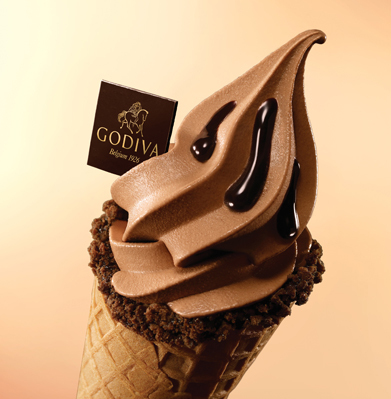 The Chocolate Soft Serve ($8.00) is wonderfully rich, creamy and well, chocolatey…but could we expect any less from Godiva? The ice cream is served in a crispy Belgian waffle cone coated with almond praline on the edge, and finished with a drizzle of dark chocolate sauce. While it is a bit pricey for soft serve ice cream, this decadent treat is worth the money (and calories). Amasoy is known more for its soy milk drinks, but the soft serve ice cream there is worth a mention too (although they usually only have one flavour at a time). The Matcha Soft Serve ($2.00) isn’t as mind-blowing as Tsujiri’s Matcha Soft Serve, but it does make for a nice treat after a long day of shopping at ION Orchard. 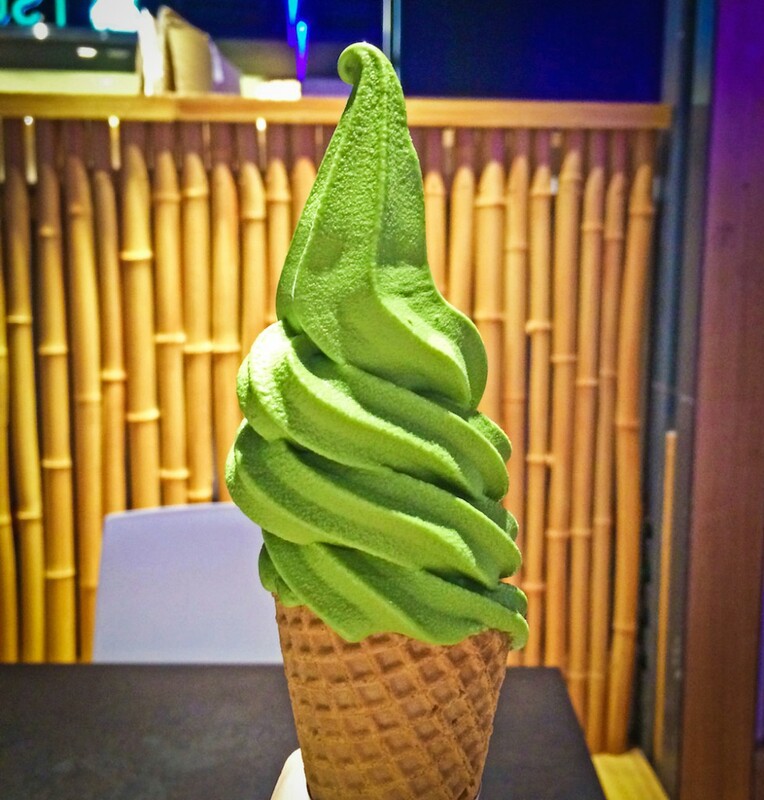 While the soft serve ice cream is creamier and sweeter than Tsujiri’s, the matcha flavour isn’t as distinct. But hey, for $2, who’s complaining?